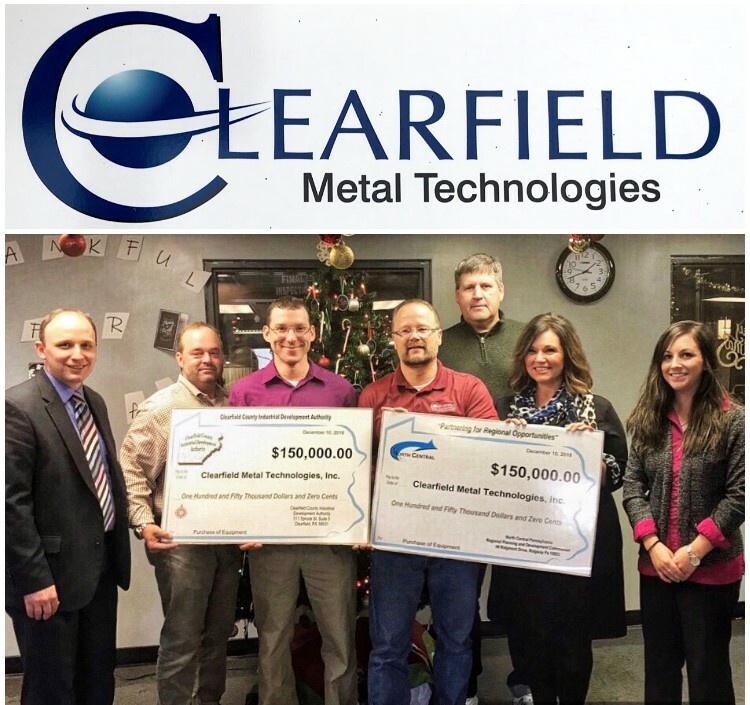 The North Central Loan Program, in coordination with the Clearfield County Industrial Development Authority (CCIDA) and CNB Bank, closed on a financing project to provide funds to Clearfield Metal Technologies Inc. for the purchase and upgrade of equipment. Clearfield Metal Technologies Inc., located in Clearfield, is a manufacturer of highly engineered, custom powder metal components. They service a variety of industries including: automotive, heavy equipment, industrial, agriculture, firearms, hydraulic, office and medical to name a few. The fruition of the above project provided the necessary investment to support the continued growth and expansion of this business, as the company continues to position themselves for future opportunities. The objective of the North Central Commission’s Loan Program is to support the start-up and expansion activities of businesses, which will enhance the regional economy through the creation and retention of full-time jobs. Through revolving loan funds and access to state and other regional lending programs, North Central was able to offer low-interest, financing to eligible businesses located in Cameron, Clearfield, Elk, Jefferson, McKean and Potter counties.